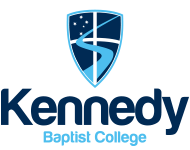 Kennedy Baptist College offers learning support through a number of different avenues. We have a dedicated team of learning support specialists who provide high quality programs to assist students in improving their literacy and numeracy skills and generally enhancing their learning outcomes. This is done through learning support staff working with students in classrooms, or conducting small group and/or one on one sessions with students in the Learning Support Centre. Support is also provided through the development of Individual Education Plans and Curriculum Adjustment Plans for students with learning difficulties. In the lower school years some Learning Areas stream classes to ensure that students who are struggling have access to appropriate programs. Students can also receive extra assistance through the after school tutoring sessions which available in Mathematics, English, Science and Humanities.